We are so excited to Celebrate with you at Camp Navarro this Memorial Day! With this event we hope to knit our communities together through ceremony, games, and partying. Our dream is to make much of the weekend community-driven, as friends and family collaborate to share knowledge and joy with each other. Think Jewish summer camp meets primal skills festival. 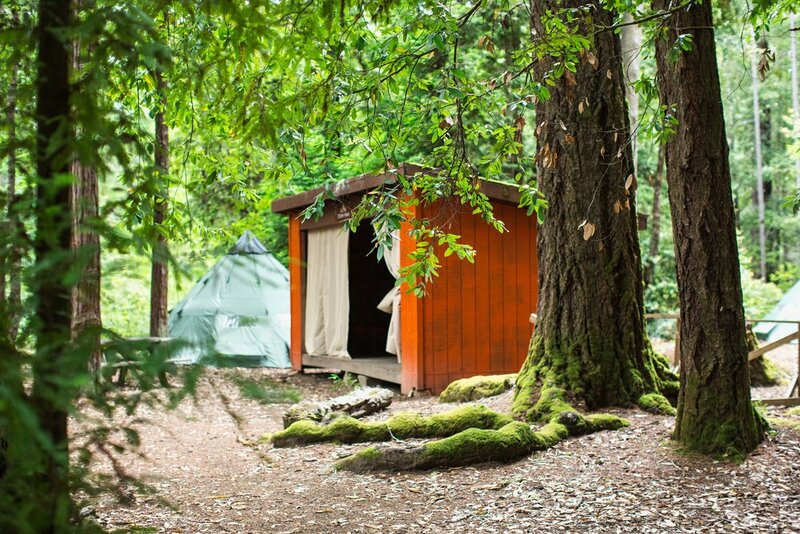 Morning Yoga in the forest, campfire songs at night, you get the idea. Please see the Get Involved section for how you can help us make this dream a reality! 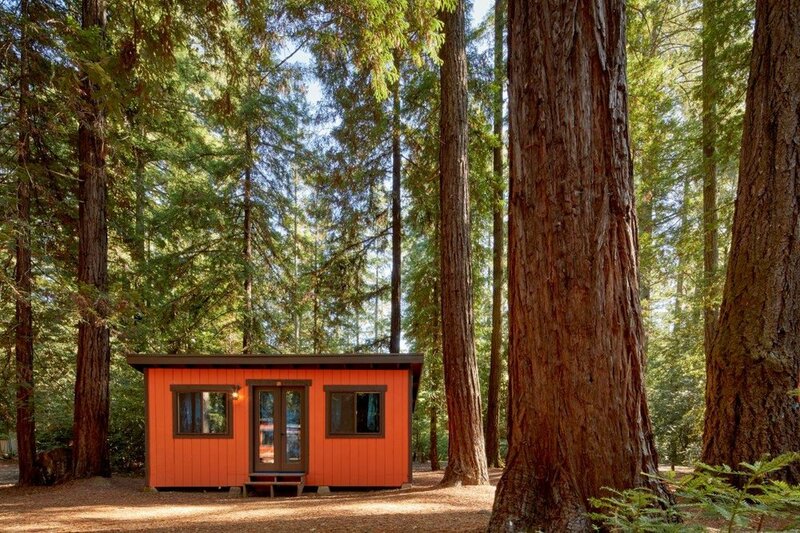 This magical place is located on 200+ acres of amazing redwood forest and rushing rivers, just north of Boonville, CA, at 901 Masonite Industrial Rd. Navarro, Ca 95463. We’d love as many people as possible to say onsite and there are a few different options for lodging/camping. For those who desire a few more creature comforts than what’s described on the accommodations tab, we’ve reserved a block of hotel rooms nearby. Please get in touch with snarodick@comcast.net for more information. 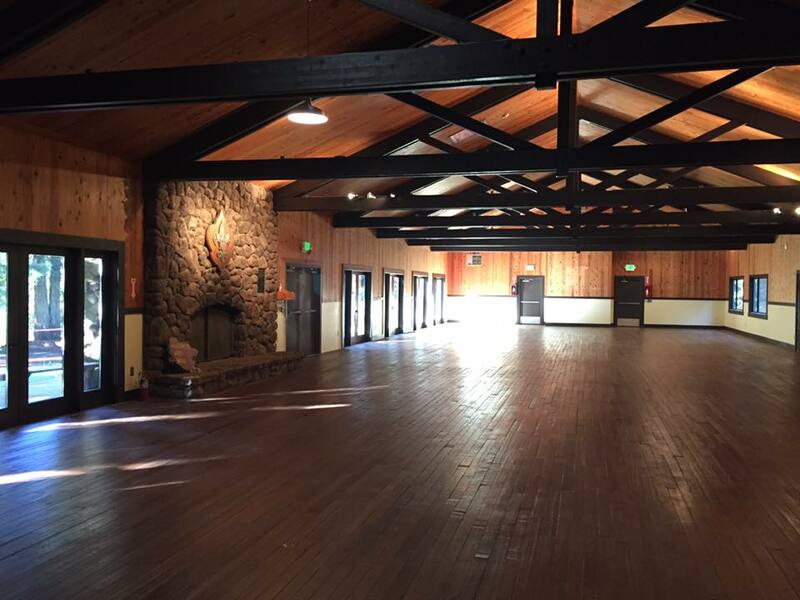 Camp Navarro is a private, 200 acre property, and it is all ours for the weekend! PLEASE COORDINATE GROUP LODGING PRIOR Booking your Accommodation. every minute we can together from midday Saturday until midday Monday. accommodation types share clean, modern bathrooms and showers. 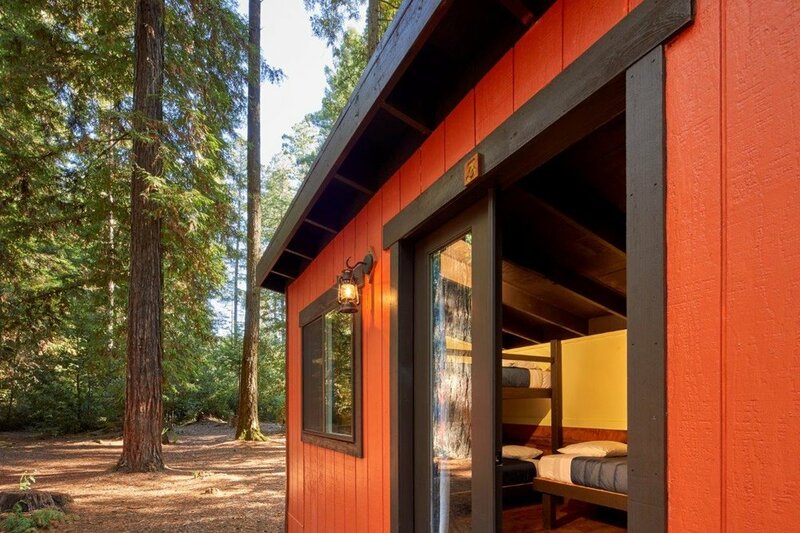 There are 32 cabins onsite that sleep 2-9 people each. 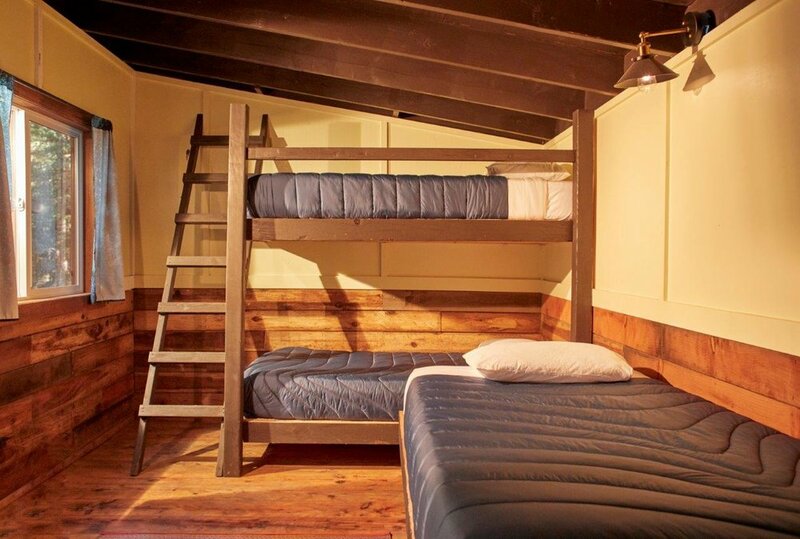 Each cabin has wood-framed beds and bunk beds (queen and twin variations) with foam mattress pads or Tempurpedic memory foam mattresses, sheets, and down comforters. All cabins have electricity, overhead lighting, and are equipped with space heaters and mirrors. 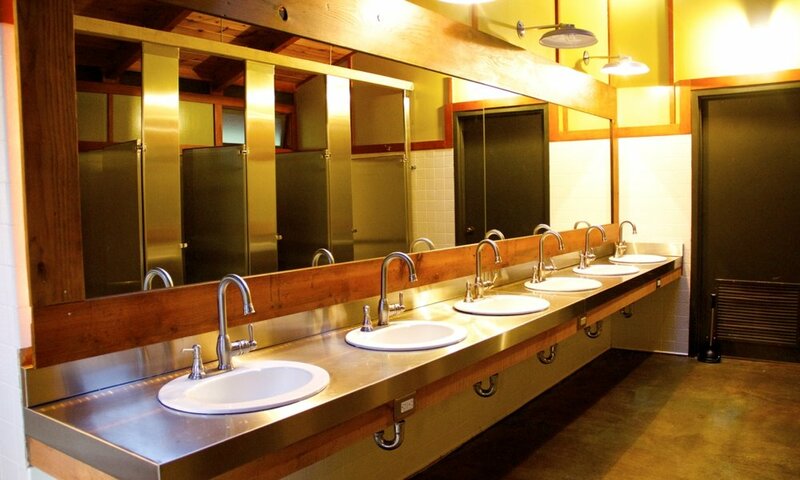 There are shared bathrooms near the cabins. See below for details. There are 12 Adirondacks onsite. 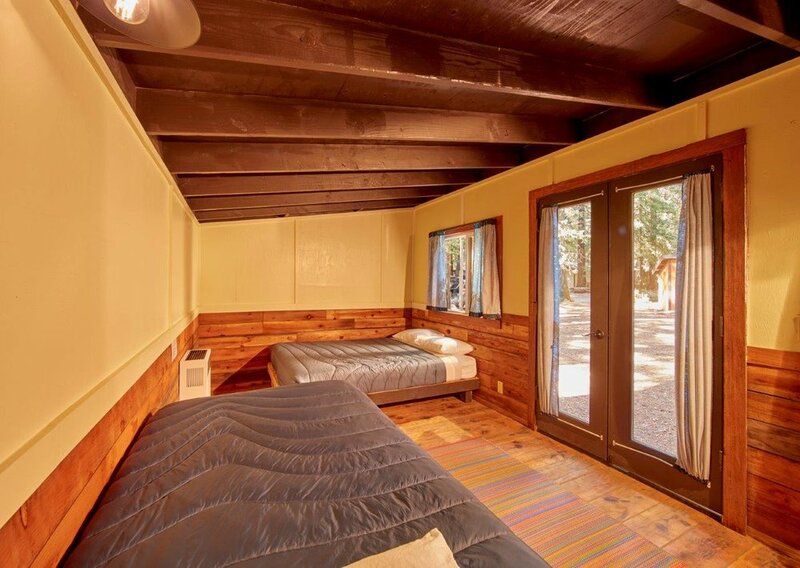 These are 3 sided cabins with large canvas curtains on the open side that act as a fourth wall. 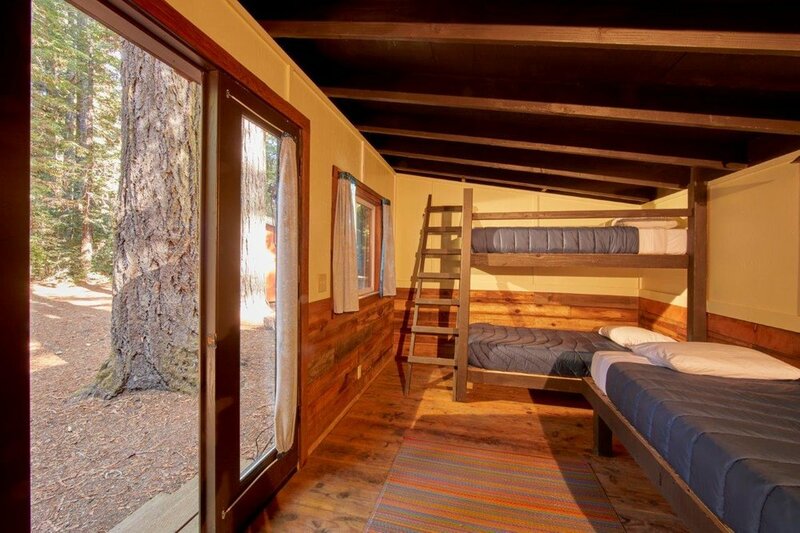 Each is filled with a wood-framed twin bunk bed, a twin bed, and a queen bed complete with foam pad mattresses. These do not have electricity. 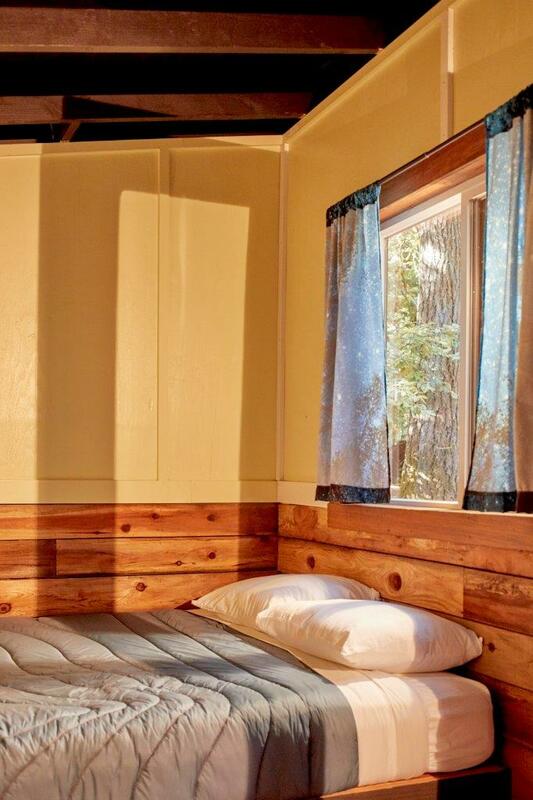 Bedding is not included; however, sleeping bags can be rented for $30 if you are coming from out of town. 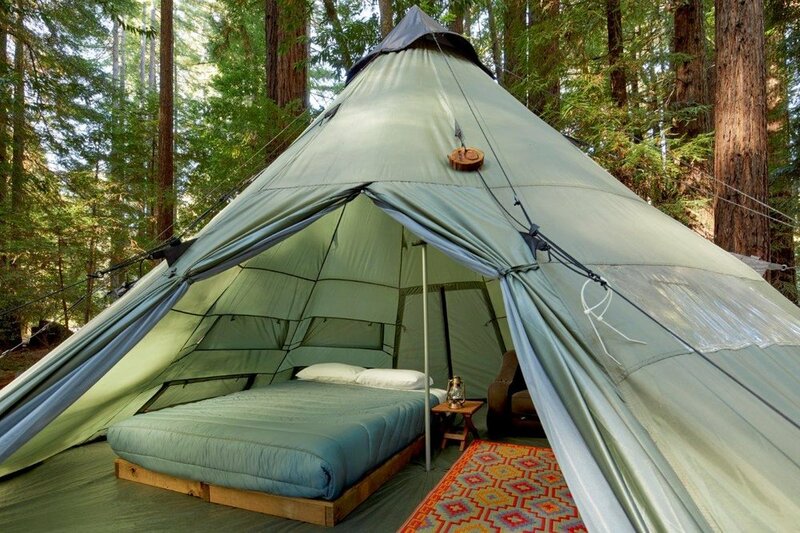 There are 24 Glamping Tents onsite and they are all set up with queen sized Tempurpedic memory foam mattresses, pillows, sheets, and down comforters. 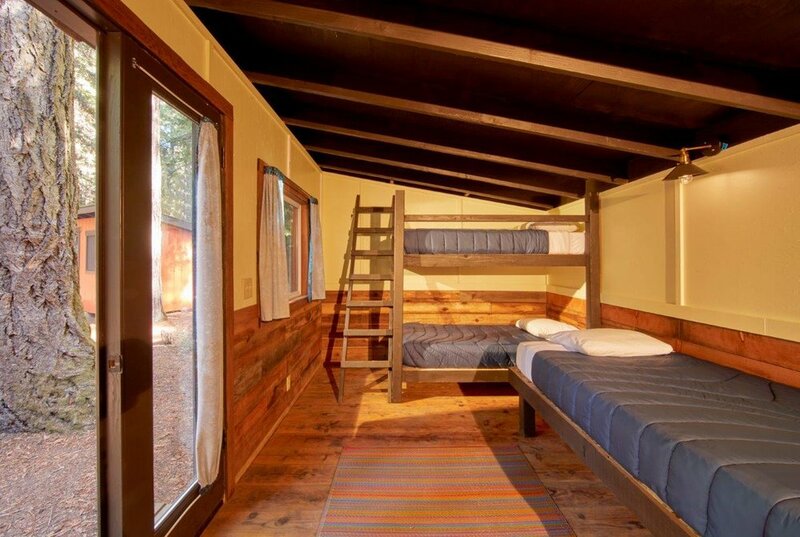 They are not equipped with electricity, but there will be small lanterns, 2 small couches/camp pads, and a nightstand. You don't have to do any of the setup! 18 unfurnished tents can also be set up with camp pads (blue cushions in pictures above) on the floor. 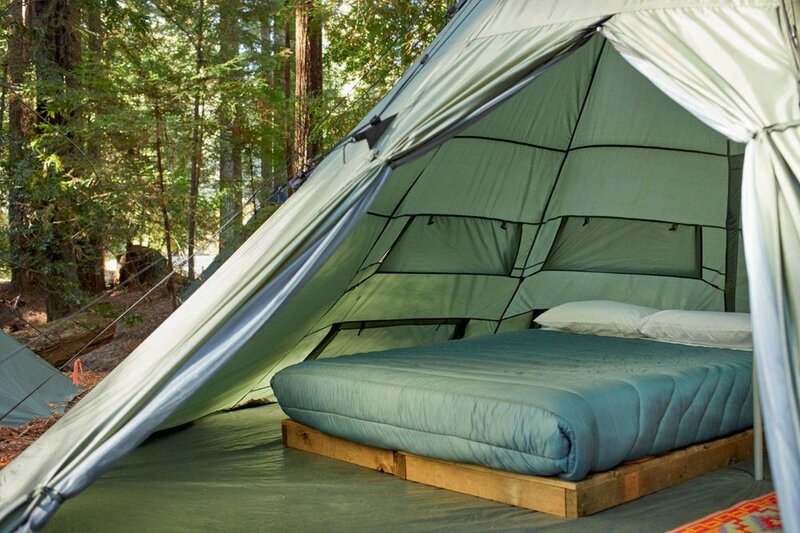 Bedding is not included; however, sleeping bags can be rented for $30 per person. Weekend rate: $250 for full weekend (does not include bedding). Navarro has an RV zone with 16 sites. 8 include electricity hookups. 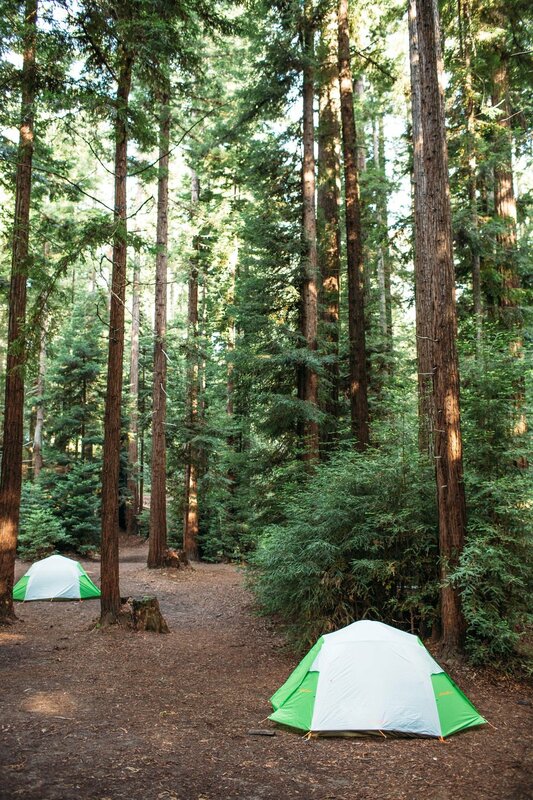 Tents are permitted in designated camping areas if you want to bring your own set up. 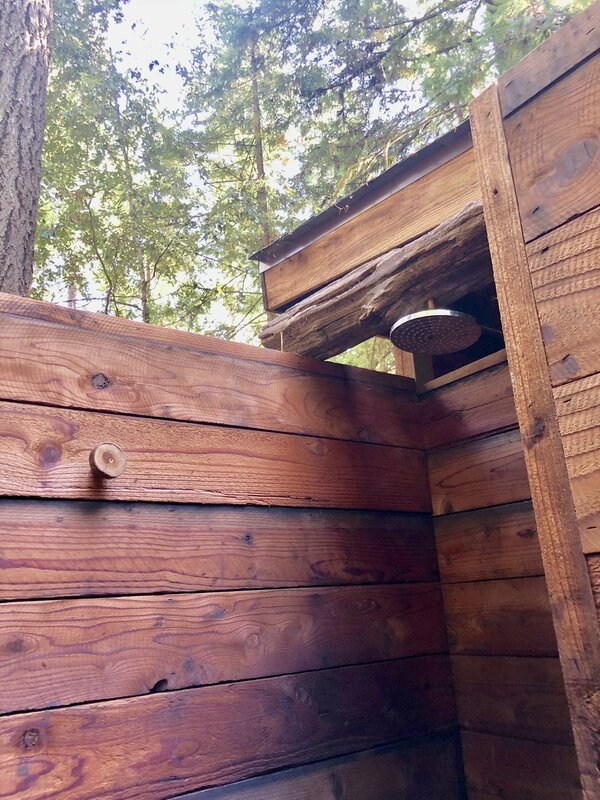 There are many shared bathrooms and shower areas spread out throughout the property, including several that are nicely clustered close to the cabins and glamping areas. 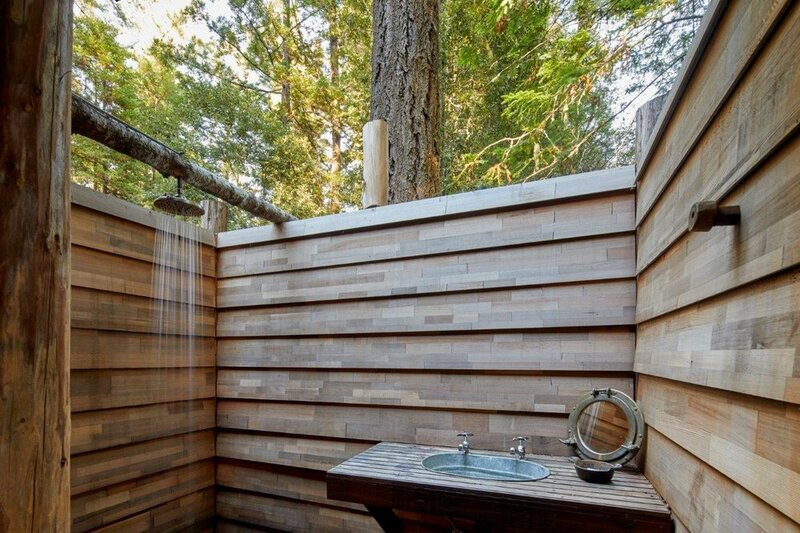 Some are more private than others, but all have hot running water and flushing toilets. For more details on the different sleeping options, please see the Accommodations page. Please coordinate group lodging prior to booking to ensure there is only one reservation per group. We've set up our registry to reflect our love of outdoor expeditions and cooking for a crowd. Homeless Prenatal Program- HPP works with families and expecting parents in San Francisco to break the cycle of childhood poverty. They provide access to housing, prenatal and parenting support, and social services. Johanna worked at HPP for two years as a doula and childbirth educator, and has seen firsthand the incredible impact this organization has had on so many lives. You can make a contribution at https://hpp.secure.force.com/donate. If you choose to do this, we would appreciate your indicating "Designate my gift to: Johanna and Phil Wedding" on the donation page so we can properly thank you. The drive takes a tour through some of Northern California’s most beautiful landscapes, and we promise it will be worth it once you get there! Carpooling is highly encouraged- we will be setting up a ride share spreadsheet as the event approaches. Address: 901 Masonite Industrial Rd, Navarro, CA. Take the CA-128 W exit towards Ft. Bragg/ Mendocino - 0.2 mi. Turn left onto CA 128 W / N. Cloverdale Blvd. - 0.8 mi. Continue on CA 128 into the Redwoods, past the Navarro General Store and Gas Station to the first bridge over the Navarro River - 1.6 mi. Take Masonite Rd. to the entrance to Camp Navarro - 0.7 mi. Average temperatures in late May range from the 40s- 50s at night to the 60s- 80s during the day. We’d recommend checking the weather as you’re packing, and remember to bring layers! Wedding outfit- Dress Code for the Wedding is “Forest Festive” - bring whatever makes you feel comfortable and celebratory! Comfortable shoes- Ground is uneven and soft, so we’d recommend steering clear of pointy heels. *Special note to everyone, including Sam Haynor: No combustibles allowed- this includes tiki torches, fire breathing, fireworks etc. All ages are enthusiastically invited! We are expecting a sizeable troupe of guests under 5, so if parents have ideas for how we can make this wedding fun and accessible for all of you, we are looking for suggestions. We had big dreams of training a chicken to be our ring bearer, but sadly we were informed that pets are not allowed on premises. Service animals are permitted with prior written notice and must be on leash at all times. Cell phone reception cuts out a few miles before you arrive at camp. We hope you will join us in unplugging for the weekend, but if you are in urgent need of an internet connection, there is wifi in the main lodge with the password available upon request. A number of you have expressed interest in helping with preparations in the weeks/months leading up to the wedding and we are oh so grateful! If you would like to be part of a smaller email list of folks available to help with crafting and scheming before the big event, please shoot us an email at campjetdick@gmail.com. Classes - yoga in the forest, teaching summer camp and/or jewish songs, jam sessions, radical eye contact, guided nature hikes, you name it. If you’ve got a skill to share we’re interested, no matter how esoteric. Games - capture the flag, life and death in the forest, ultimate frisbee - if you organize it, we’re playin it. Crafts - lead us tie-dying, lanyard making, basket weaving, etc. Also we’ll have foliage for centerpiece making! If you are interested in any of these, likewise email us at campjetdick@gmail.com. We’ve got a show planned for Saturday night, and we need your talents to bring it to life! Song, dance, skits, tricks... if you’ve got the chutzpah we’ve got the mic. 5 minutes or less. If you’re interested, please shoot an email to jillianjetton@gmail.com with a short description of what you’ve got in mind. Copyright © 2012 - 2015 CampNavarro.com All Rights Reserved.